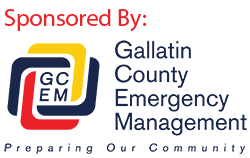 The Gallatin County Sheriff’s Office would like to remind the public of the ability to dispose of expired or unwanted medications within the Law and Justice Center (615 South 16th Avenue in Bozeman). Unused and expired prescription medications can lead to poisoning, overdose, and abuse. Statistics show that 70 percent of people who abuse prescription drugs get them from friends and family. A mailbox-style kiosk designated for medication disposal is located in the lobby of the Law and Justice Center. The lobby is open to the public everyday during business hours. Medication disposal is free and anonymous. Tablets, capsules, and all other solid dosage forms will be collected. Intravenous solutions, injectibles, and syringes will not be accepted. Please call the Missouri River Drug Task Force at (406) 582-2110 for more information.